The GyroStim is a computer controlled multi-axis rotating chair. It safely rotates a person in pitch axis (somersaults) or the yaw axis (up-right rotation), or both axes at the same time. 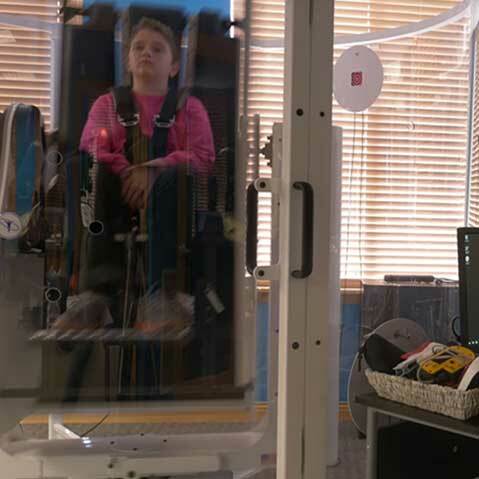 Its purpose is to combine vestibular stimulation with multi-sensory processing exercises. What do we use the GyroStim for? 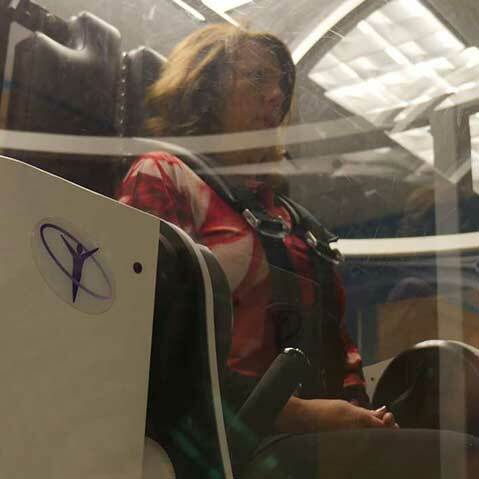 The GyroStim immerses you into a dynamic brain training environment. 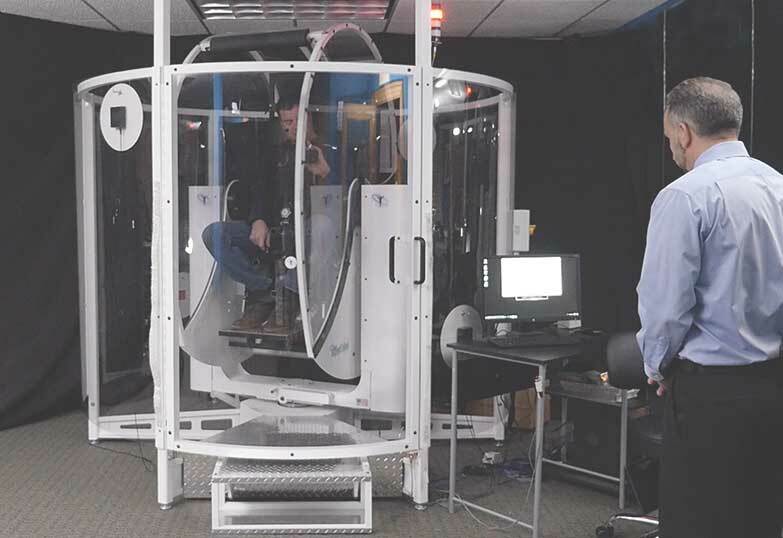 In other words, whether you need slow rhythmic and repeatable motions to rehabilitate and retrain your brain to process better after an injury, or, you need powerful randomized and unpredictable motions to boost your sports performance, GyroStim has the flexibility and range to meet your needs. Typically, patients with concussions or other brain related injuries or issues would begin treatment with this type of session.